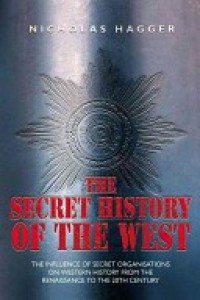 The Secret History of the West is a historical work (part one of a two-part work of which part two appeared as The Syndicate in October 2004) that examines the impact of recent organizations on revolutionary history from the Protestant Reformation of the 16th century to the end of the Russian revolution. It grew out of the treatment of “hidden history” in The Fire and the Stones. The principal focus of the book is Western revolutionary history from c.1453 to the Russian revolution. The Introduction defines the theme of the book as the influence of secret organizations on a succession of revolutions that have eradicated the old Europe of nation-states and are bringing in a world government (the so-called New World Order). It also defines revolution itself and explains the revolutionary dynamic. Part One is entitled ‘The Protestant Revolution’, and starts with the Reformation as the foundation for its analysis of the Puritan Revolution of the 17th century and its successor, the Glorious Revolution. Part Two – ‘Towards a Universal Republic’ – describes and analyzes the revolutions (and new societies) that grew out of the Age of Reason. The two great Templar revolutions of the 18th century, the American and the French, are covered in chapters 4 and 5. Chapter 6 deals with the influence of Rothschildian capitalism and Mazzini’s revolutionary Marxism on the rise of the rival 19th century British and German Empires. Chapter 7 analyzes the Russian revolution. The threads are drawn together in a Conclusion which establishes the links between the secret organizations and the revolutions and demonstrates how all the revolutions have prepared the ground for the New World Order in our own time. Finally, at the end of the book, an appendix on ‘Civilisations and Revolutions; Two Dynamics’ and a set of 10 appendices entitled ‘The Hidden Hand: The Kabbalistic Roots of Revolution’ provide extra insights into the Kabbalistic and occult origins of revolutions, and draws some interesting parallels between the ancient and medieval heretical sects – both Jewish and Christian – and modern revolutionary groups. There is also an appendix on ‘Venetian Foreign Policy and Rosicrucian Freemasonry’. Who was behind the Protestant Reformation and the Renaissance? Is there a hidden hand behind Western history? Is there a link between the revolutions in England (by Cromwell and William of Orange), America, France and Russia? Has a dynamic power shaped the French revolution, Imperialism and Lenin’s Russian revolution? Nicholas Hagger focuses on the turning-points in the history of the North American and European civilizations – the revolutions. He shows that secret organizations intrigued them – first the heretical Kabbalists and Cathars and then the Freemasonic Rosicrucians, Sionists and Templars – in pursuit of the hidden Masonic agenda of world revolution which has been an ambition of Freemasonry for hundreds of years. He reveals the hidden dynamic of revolution and the pattern of individual revolutions. As the book’s companion volume, The Syndicate, explains, all the interventions of these shadowy organizations have culminated in one attempt to create a world government. The Secret History of the West traces the influence of secret organizations on history from the Renaissance to the 20th century and their role in fomenting revolutions. Grand Orient Templar Freemasons who brought about the Russian Revolution. The Secret History of the West reveals revolution’s roots in early attempts by heretical sects – Gnostics, Templars, Cathars, Kabbalists, Rosicrucians – to subvert Christianity. Their inspiration is traced to the Kabbalah, which links them to the Puritans and modern Freemasonry and is seen to provide the ideological foundations of the English, American, French and Russian revolutions. 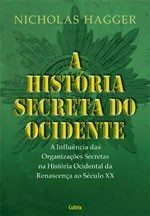 The Secret History of the West is a narrative of the influence of secret organizations on all the revolutions from 1453 to the Russian revolution. The book proceeds chronologically through the world’s revolutions. No other work offers such a narrative. (Crane Brinton’s Anatomy of Revolution is aimed at postgraduates and assumes a thorough knowledge of the events of the main four revolutions.) All revolutions are found to begin with occultist dreams and to end in horror. The book thus appeals equally to left and right, and is highly educative for young idealists. Headings and sub-headings accompany the narrative treatment of each revolution in each chapter. The Secret History of the West is the first book to explain revolutions by delving into the secret history of the West, which means probing into Freemasonry, Rosicrucianism and Adam Weishaupt’s Illuminati, occult organizations that most conventional history books ignore. There can be no satisfactory explanation for all the revolutions if this secret history is ignored, and the 4-part revolutionary dynamic is drawn in part from this secret history. It is because this secret history is admitted that the book’s “new view” is made possible. The Secret History of the West is the first serious study of hidden organizations and revolutions as the driving force of modern history. The book traces the modern tide of world revolutions back to the Protestant revolution known as the Reformation which had its roots in the Cathar movement of medieval France. A narrative of all the revolutions from 1453 to the Russian revolution. Students in every country where there is civil unrest can read about Robespierre, Lenin and the like and see how Utopian visions of ideal societies end in massacres and guillotinings. an idealist has an occult vision, which others state in intellectual terms; this becomes corrupted by a political regime, and results in physical suppression (e.g. Stalin’s purge). The summary at the end of each chapter includes tables summarising this dynamic as it applies to each revolution. An overview that all the revolutions during the last 550 years are individual waves in a high tide of world revolution. All these revolutions were unleashed by the hidden hand of Freemasonry in its Rosicrucian, Sionist and Templar forms. This is the first book to have exposed the impact of these secret organizations so comprehensively, and in relating revolutions to the activities of factions within Freemasonry the book reveals the hidden dynamics of revolution and the pattern of individual revolutions. As the book’s companion volume, The Syndicate, explains, in our time these revolutions have culminated in an attempt to create a world government. All the revolutions have advanced this hidden Masonic agenda of world revolution which has been an ambition of Freemasonry for hundreds of years. Contrary to popular belief, Western civilisation as we know it today is not the end of steady progress. For over half a millennium revolution has succeeded revolution like a succession of tidal waves. ical narrative of these revolutions, from the Renaissance to the Russian. It shows how Utopian visions of ideal societies end in massacres and the guillotine, and therefore appeals to and challenges both left and right. ted by a political regime, and results in physical repression. American, French and Russian revolutions. Factions within Freemasonry and families such as the Rothschilds have figured prominently in all these upheavals. They add up to a tide of world revolution that is reaching high water mark n our own time, as Hagger has shown in the companion volume to this work, The Syndicate: The Story of the Coming World Government. Nicholas Hagger’s books reveal truths that have been hidden, and are rewarding. He has devoted much thought to unearthing the pattern of history, and he presents a new approach to the influence of secret organisations on Western history from the Renaissance to the 20th century and on plans to create a New World Order.